Farmwatch’s evidence of dairy cruelty was broadcast on New Zealand’s TV ONE Sunday program. In the footage, cows are shown running after their newborn as they are taken away. Calves destined for slaughter are left hungry and thirsty by the roadside, when the law requires them to be fed. Then they are thrown into a truck and taken to the slaughterhouse where they are hurled by their legs across a concrete shed before the last breath is bludgeoned out of them. Blunt force trauma was made illegal in New Zealand after public outrage at a New Zealander using this killing method on calves in Chile. 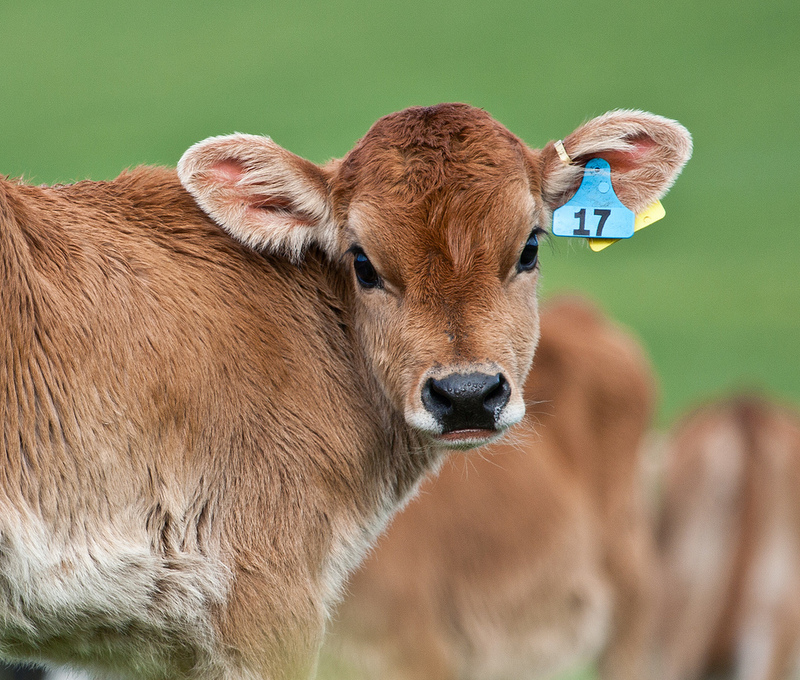 When asked about potential consumer response to the deaths of 2 million bobby calves each season, dairy producer Fonterra’s Miles Hurrell said the nutritional benefits “far outweigh[s] the practices of getting that milk,” Farmwatch reports. SAFE and Farmwatch reveal the dark side of the New Zealand dairy industry to consumers who might think of lush pastures and implied good health. The neglect and cruelty caught on camera could be damaging to a dairy industry that was worth almost $9 billion to the New Zealand economy last year. Dairy exports to the UK were worth around $26 million and exports to China are expected to grow with the relaxation of the one child policy. “We need to maybe tighten up on the wording on a few things and make it more explicit around how that care is supposed to be so there is no room for ambiguity,” he told the New Zealand Herald. Hoggard is referring to the possible interpretation of the requirement not to leave bobby calves in public view while they await pick up as prioritising public perception over animal welfare. Green Party animal welfare spokesperson Mojo Mathers is very clear that animal welfare should be the priority. “Nathan Guy [Minister for Primary Industries] needs to urgently look into why the system he’s in charge of isn’t working to protect animals and to protect our international reputation,” she said. The video footage has been made available to international media, but SAFE’s graphic advert in the Guardian newspaper may have more impact on UK consumers. New Zealand’s special agricultural trade envoy Mike Petersen is concerned that although these practises happen worldwide, some UK consumers may shun NZ dairy, reports Radio New Zealand. Along with the Federated Farmers organisation, Peterson is disappointed that SAFE went ahead with the advert after farming, transport and slaughter groups had agreed to work with SAFE to improve treatment of farm animals and ensure adherence to animal welfare codes. Andrew Hoggard told Radio New Zealand “the dairy industry didn’t need this from SAFE after a tough year [with falling prices] when most dairy farmers do a good job.” Likewise, Primary Industries Minister Nathan Guy said the majority of farmers dealt with animals appropriately, because their livelihood would be at risk if they did not. DairyNZ chief executive Tim Mackle backs up this claim, saying Federated Farmers of New Zealand surveys show 95% of farmers comply with animal welfare codes. But with one inspection per year, can we be sure animals are treated in accordance with Animal Welfare Act codes? While New Zealand’s Animal Welfare Act is very good by international standards, it is ineffective without proper enforcement and tough penalties. The farming industry has distanced itself from the dairy cruelty footage, claiming it shows isolated cases of bobby calf abuse by pet food processors and saying that bobby calves are part of the reality of dairy farming. Federated Farmers Manawatu-Rangitikei president James Stewart accuses SAFE of “applying human emotions on to animals” with their global anti-cruelty campaign. “They’re imposing their veganist views on us all,” he told the Manawatu Standard. SAFE are not “applying human emotions on to animals.” Like humans, animals nurture and protect their young. Separating a calf from its mother might be a reality of modern dairy farming, but that doesn’t make it ethical. Hans Kriek says SAFE wanted to make international consumers of NZ dairy aware so they can let government and industry know that bobby calf abuse is unacceptable. By limiting the publicity to domestic consumers, only 5% of the NZ dairy market would be reached and the government would be unlikely to respond on grounds of animal welfare alone. The risk to international reputation and trade is more reason for the industry to take action to prevent dairy cruelty. SAFE’s campaign gives consumers a dose of truth as an anti-dote to the ‘100% Pure New Zealand’ marketing they’ve been fed over the years. Farming groups and the MPI, which has not completed its investigation on the abuse made known to them by SAFE in September, have been quick to respond with talk of a campaign to restore public confidence. A battle between farming supporters and animal welfare advocates has ensued with individuals on both sides becoming victims of abuse. People seem to take leave of their senses when there is a polarizing issue, but fighting talk takes us further away from discussions that consider people and animals. You only have to page through reader responses to online news articles to see the deep divide between pro-farming nationalists who accuse SAFE of attempting to destroy the economy, and those who support SAFE’s actions for improved animal welfare, seeing it as pro-animal rather than anti-nation. One reader says, “SAFE is not concerned with animal welfare they have a hidden agenda that we should all be vegan.” But SAFE is concerned with animal welfare – that’s why they support veganism. There are also readers who attack animal activists with the extremism they appear to detest, “Nothing like a group of rabid tree huggers to wreck and [sic] economy.” They talk of veganism as though it’s some kind of cult rather than genuine concern, born of compassion, for the welfare of animals. SAFE is accused of alarmism by readers who are themselves alarmist in saying people will lose their jobs because of SAFE’s anti-dairy stance when history shows that changes to the farming industry don’t happen overnight. Other readers compare to the cruelty in China or the UK, or the cruelty of using 1080 poison in conservation. They say effort should be put into people not animals. But the actions of one country don’t condone the actions of another, and animals do matter alongside people because people and nature are interconnected. How we treat our animals can be indicative of how we treat our people. The sarcastic solution offered by dairy farmer Mark Gascoine, who clearly has nothing helpful to suggest to improve dairy animal welfare, highlights how a solution will not be found unless there is willingness and co-operation from all concerned. In response to Farmwatch’s video footage and SAFE’s campaign, Dairy NZ has committed to working through the supply chain to make sure calves are cared for and to inform the public about the dairy production process. Consumers have a right to know the truth about how their food is produced. For some, that will be unacceptable and they will make dietary changes, and for others it will make no difference. The important thing is that people should be able to make an informed choice. But whatever people choose, the cruelty to bobby calves, or any farm animal, is unacceptable and the farming process must be fully regulated from rearing to slaughter. Thank you for keeping this issue alive. I worked on a dairy farm briefly once and yes it is true that the cow does indeed form a strong bond with her calf. It is a difficult process to separate the two. It is time to look for alternatives to the milk we consume in my family and even the meat my sons buy from the supermarket does not have anything quality about it. One other issue which I think is horrendous was the practice by a home kill contractor who, on private land, slaughtered and gutted a steer in Oratia valley, opposite Oratia school in full view of other stock in an adjoining paddock. The children were in class but the cattle were not spared the carnage to their own. Thank you for sharing your experience Pauline. Like your family, we too are making dietary changes and we are doing so in a way that each of us feels comfortable with. I’m very keen on truth and transparency in how our food is produced, so that individuals can make informed choices. In this way, the food industry will be better held to account and animals and the environment will be better cared for. Your story of the home kill contractor highlights the way farm animals are treated as commodities and not as sentient creatures. The fear in animals sensing or watching other animals meet their death has been frequently caught on camera in slaughterhouses. Giving care and consideration to farm animals should be more of a priority.